BICC Publications/Civilian Arms Registration and Marking Handbook. You are here: Home » Publications » Civilian Arms Registration and Marking Handbook. Civilian Arms Registration and Marking Handbook. 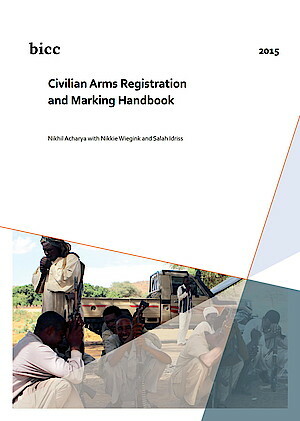 In collaboration with Sudan's National Focal Point on Small Arms Control, BICC has published the Civilian Arms Registration and Marking Handbook, available in both English and Arabic. This Handbook is a guide on arms registration and marking (ARM) for practitioners, government officials, and project managers working on the control of small arms and light weapons in conflict-affected areas. Drawing on experiences from Darfur, it provides a practical overview of how to design and implement an ARM project, focussing in particular on arms owned by civilians.